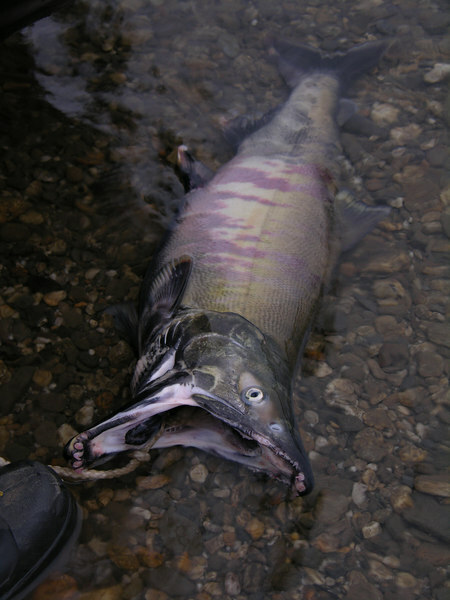 A nice dog (chum) salmon that was given to us by a boy in Noatak Village. We had let some of the local younguns use our fishing poles while we were visiting and this doggy was the only fish they had landed. Ian started a fire to cook this tasty treat while Trystan fired up the stove to make chicken teriyaki. Wed never had this highly underrated species of salmon before, but it wasnt bad at all.